CHRYSLER 300C in years 2005-2013. due to weather conditions and many other factors. Also ASK for Northern Ireland, parts of Scotland such as Highlands, Inverness-Shire etc. CHRYSLER VOYAGER & G RAND VOYAGER from 1996 till 2007. due to weather conditions and many other factors. CHRYSLER 300C in years 2005-2012. set of HANDBRAKE (EMARGENCY, PARKING) SHOES W/FITTING KIT for Channel Islands, Isle of Man etc. BEFORE YOU BUY as the price could vary. due to weather conditions and many other factors. CHRYSLER PT CRUISER from 2001 till 2008. - CHRYSLER NEON from 1995 till 2004. due to weather conditions and many other factors. CHRYSLER VOYAGER & G RAND VOYAGER from 1996 till 2007. This is aHIGH QUALITY PARKING brake LEVER X 2 for COLOUR MAY VARY. due to weather conditions and many other factors. Channel Islands, Isle of Man etc. CHRYSLER VOYAGER & G RAND VOYAGER from 1996 till 2007. due to weather conditions and many other factors. Channel Islands, Isle of Man etc. BEFORE YOU BUY as the price could vary. set for both wheels . CHRYSLER VOYAGER & GRAND VOYAGER in years 1996-2007. MODELS with rear BRAKE DRUMS. due to weather conditions and many other factors. 1997-1999 Chrysler Grand Voyager. 1997-1999 Chrysler Voyager. Rear Brake Shoes. AutoExtra AXS714. LF 300C 2006 - 2010. LX 300C 2011 - 2014. Chrysler lambda sensor pos fits other vehicles. CHRYSLER VOYAGER Mk III (RG, RS) 3.3 MPV Petrol 09/2000 12/2007 FWD 12 182 134. CHRYSLER VOYAGER Mk III (RG, RS) 3.3 MPV Petrol 02/2000 12/2008 FWD 12 174 128. Part number 04762537. Chrysler Neon mk2 1998-2003. ALARM SYREN WITH BOX. CHRYSLER 300, PT CURISER, ASPEN, CONCORDE. NEW UNUSED PART . PART NO. 05014527AA. 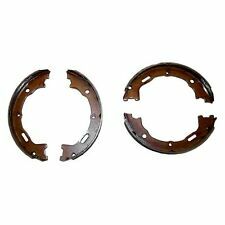 CHRYSLER VOYAGER, NEON & 300C, BRAKE DISC PAD SET (AXLE) REAR. 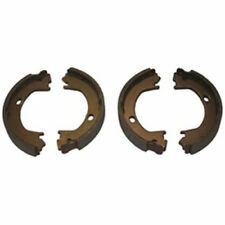 CHRYSLER VOYAGER / GRAND VOYAGER RG 1997-00, BRAKE SHOE SET. PART NO. 04882576. 300C 2004 -2010 Mk 1. We are currently breaking a number of Chrysler Jeep and Dodge Vehicles. Check the part number to check compatibility with other models, but should fit the following models Full fitting and Repair Service. GRAND VOYAGER 2001 -2008 Mk 3. We are currently breaking a number of Chrysler Jeep and Dodge Vehicles. Check the part number to check compatibility with other models, but should fit the following models. We are currently breaking a number of Chrysler Jeep and Dodge Vehicles. ACD of Lancashire, Chrysler Jeep & Dodge Breakers. Check the part number to check compatibility with other models, but should fit the following models. GRAND VOYAGER 2001 -2008 Mk 3. We are currently breaking a number of Chrysler Jeep and Dodge Vehicles. ACD of Lancashire, Chrysler Jeep & Dodge Breakers. Check the part number to check compatibility with other models, but should fit the following models. Right & Left. Parking Brake P/N 05019802AA. GRAND VOYAGER 2001 -2008 Mk 3. Full fitting and Repair Service. Check the part number to check compatibility with other models, but should fit the following models. CHRYSLER 300C 3.5L V6. Channel Islands, Isle of Man etc. BEFORE YOU BUY as the price could vary. due to weather conditions and many other factors. UKMAINLAND ONLY, ASK for the price for off-shore locations such as. GRAND VOYAGER 1996 -2001 Mk 1. We are currently breaking a number of Chrysler Jeep and Dodge Vehicles. Check the part number to check compatibility with other models, but should fit the following models.